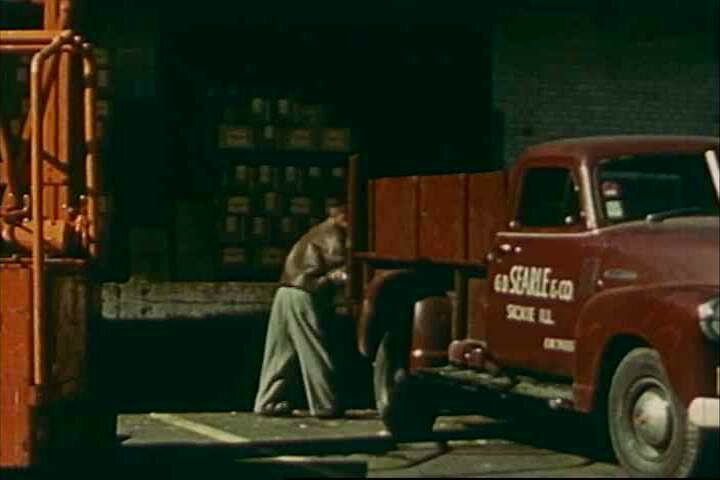 4k00:211950s: Man loads boxes from loading dock into back of pick-up truck. Man stacks boxes on back of cart next to train. Train goes over bridge on tracks. 4k00:04NEW YORK - DEC 20, 2015: FDNY truck with siren speeding down 5th Ave in Manhattan 4K NYC. Fire department provides emergency services in the 5 boroughs of the city. hd00:201930s: men in overalls with tools step onto assembly line and connect running board and front grill to chassis of automobile in Chevrolet factory.